Toyota Gazoo Racing comfortably swept the front row during 24 Hours of Le Mans qualifying, reinforcing the belief that the team will have an easy time in the race barring any reliability problems. The #8 Toyota TS050 Hybrid, driven by championship leaders Kazuki Nakajima, Fernando Alonso, and Sébastian Buemi, took the top spot with a 3:15.377 lap time, exactly two seconds ahead of the 3:17.377 average qualifying time set by the #7 car of Mike Conway, Kamui Kobayashi, and José María López. The closest anyone managed to get was the #1 Rebellion Racing LMP1 car, which was 4.072 seconds behind the pole position time. But when asked about the TS050 Hybrid’s dominance, Bykolles Racing Team’s Tom Dillmann, who qualified eighth, said he thought Toyota could have done even better. “They are cruising. The track is fast, LMP2 and GTE Pro are both faster than last year,” the Frenchman said, bringing attention to the fact that Toyota’s pole position lap was still more than a second off the record-breaking time it set last year. Car Buying Tip: What are the difference between new, used, and certified? Essentially, it’s the strategy that saw Mercedes cement its advantage from 2014 to 2016 in F1: its engine advantage was such that it never needed to use its full capacity, thus greatly improving reliability. 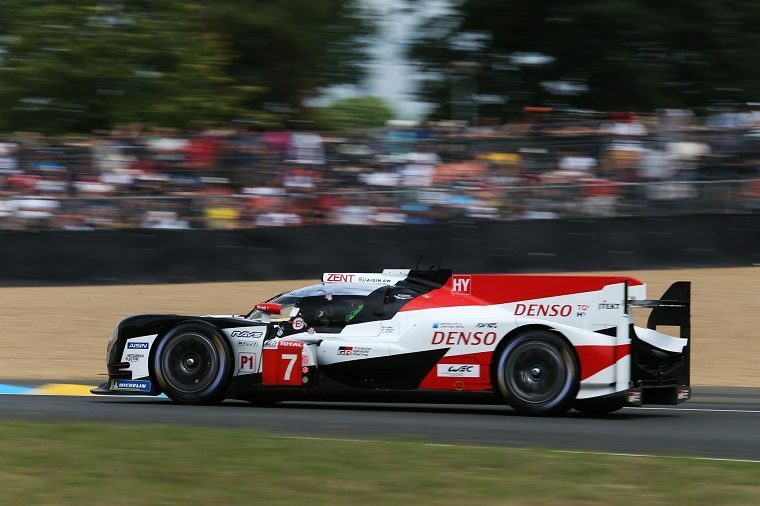 Toyota is probably doing the same: this is its best chance to win Le Mans, and it would be a huge strategic mistake to try winning the race with a 10 lap lead—and possibly risking a part failure—instead of winning the race with a 1 lap lead while limiting component stress.